A new quarterly IAEA report on the Iranian nuclear program was released on September 2 and, as usual, there's nothing revelatory or alarming about the Agency's findings. But you sure wouldn't know that from reading the mainstream media. Writing for Reuters, Fredrik Dahl's piece on the latest IAEA report on Iran, which is supposed to be confidential but like all other reports on Iran was leaked to the press and public, is yet another example of alarmism when it comes to the Iranian nuclear program. Though posing as straight-forward reportage, Dahl's report actually misrepresents facts, provides a deliberately selective reading of available information, and fans the flames of militarized rhetoric, fear-mongering, and the ever-increasing obfuscation of the reality of Iran's nuclear program. Mr. Dahl, with the help of editor Mark Heinrich (and later additional editing by David Stamp), appears to have decided to excise all relevant information regarding the IAEA's continual confirmation that absolutely no nuclear material has been diverted to military purposes, that there are no ongoing reprocessing activities, and that the IAEA has all safeguarded sites fully monitored, supervised, and secured. Facilities under IAEA supervision are all operating as declared to the Agency by Iran. None of this information appears in the Reuters report, of course, as it apparently doesn't jibe with the narrative of intransigent Iranian mullahs, deviously clutching fuel rods as they shake their fists in the air. Instead, Dahl - despite considerable evidence to the contrary - writes that Iran "has long restricted the access of IAEA inspectors." In truth, Iran has never impeded IAEA inspectors' access to its safeguarded facilities. Other sites, to which the IAEA has long asked for access, do not fall under the Safeguards Agreement and are therefore not subject to inspection. This includes the heavy water plant at Arak. Still, as noted in this new IAEA report, Iran allowed IAEA inspectors access to the Arak plant on August 17, 2011, for the first times since 2005 (para. 33). It was not obligated by any of its agreements with the IAEA to allow such a visit. This fact of law is inconvenient to Iran hysterics and therefore does not get mentioned in these types of "news" articles. Iran's nuclear sites and facilities are all under the 24-hour video surveillance by the IAEA, allow access to IAEA inspectors and inspections, and are subject to material seals application by the Agency. Furthermore, though not required or authorized under Iran's Safeguards Agreement with the IAEA, as of February 2010, there had been 35 unannounced, surprise inspections of Iranian facilities since March 2007. There have surely been many more since. IAEA inspectors have consistently had open access to the gas conversion facility at Esfahan, the enrichment facility at Natanz, and the new lightwater reactor at Bushehr, as well as the secondary enrichment facility under construction at Qom (which, again, Iran declared to the IAEA a full year before required to, when it was, as then-IAEA Secretary General Mohammed ElBaradei described “a hole in a mountain” and “nothing to be worried about”). The "Possible Military Dimensions" section of the report contains absolutely nothing new, save the spooky word "increasingly", which appears to be the only thing any reporter has mentioned thus far today. Even so, there appears to be no real reason why the word "increasingly" has been added to this report as there is literally no new evidence presented by the Agency to back up its "concern." Only vague mentions of "new information" acquired by "many Member States" (oooh, I wonder which those could be?!) is noted in the report, though none of this new information is presented or explained. The IAEA explicitly states that "examples" of the "activities" about which the Agency is "increasingly concerned", despite never having offered any compelling or consistent evidence for Iran to address or substantiate, "were listed in the previous report." So, uh, nothing new there. But you wouldn't know that from Dahl's report. As has been noted numerous times in the past, most of the content within IAEA reports on Iran at this point are boilerplate statements regarding the Additional Protocol, modified Code 3.1, and UNSC sanctions, which Iran (and international law, for that matter) maintains are illegal. Only by implementing the IAEA's Additional Protocols (which it did voluntarily for nearly two years) could Iran theoretically dispel all concerns. But Iran is not alone in this regard, as politicians, pundits, and the press would have you believe. 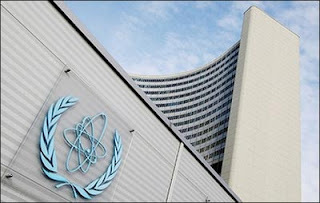 Iran, along with 72 other countries, has a comprehensive safeguards agreement in force with the IAEA, but has not implemented the Additional Protocol suggested by the IAEA. The demands of implementing the AP is a standard recommendation for all countries that do not have one already in place, not just Iran. While Iran has maintained its readiness to consider implementing the Additional Protocol as long as its inalienable rights to enrich uranium for peaceful purposes are unconditionally recognized, as required by the NPT itself, Western powers refuse to even consider such a proposal. In light of these demands (which they have no authority to make, outside of international bullying and bombing threats), who is really obstructing substantive negotiations by refusing to acknowledge inalienable rights? Notably, even a Congressional Research Service report, written by non-proliferation analyst Paul K. Kerr in February 2011, concludes that it is "unclear" whether or not Iran has ever actually violated its obligations under the Nuclear Non-Proliferation Treaty, noting that the "U.N. Security Council has never declared Iran to be in violation of the NPT." Moreover, Dahl writes, "Shifting enrichment activity to such a subterranean site [at Fordow, near Qom] could offer greater protection against any attacks by Israel or the United States, which have both said they do not rule out pre-emptive strikes to stop Iran getting nuclear weapons." What he omits is that, if the U.S. and Israel keep threatening such an attack (which is totally illegal under international law and would constitute a serious breach of the U.N. Charter), Iran would be irresponsible if it did not defend and secure its own scientific facilities (remember, there is literally no evidence of militarization). The fact that this type of defense frustrates warmongers in the U.S. and Israel has no bearing on the legality or rationality of such a decision by Iran. Frankly, the illegal and irrational moves are the ones taken by the two countries which consistently threaten to bomb another country and are annoyed by that country's self-defense mechanisms. War is Peace, Protection is Aggression. The New York Times' David Sanger and William Broad and The Washington Post's Joby Warrick have also published very similar articles about the new IAEA report. Their tone and key points are nearly identical to Dahl's, their analyses similarly obtuse and their omissions just as deliberate. "Iran also is making good on promises to begin enriching uranium in a newly built bunker near the city of Qom. The formerly secret site, discovered by Western intelligence operatives and revealed to the world in September 2009, is being used to create a more highly enriched form of uranium, Iranian scientists told the IAEA." As has been noted so many times before, the Fordow site was not "revealed to the world" in September 2009 by "Western intelligence operatives"; rather it was announced to the IAEA by Iran in accordance to Iran's obligations under its Safeguards Agreement and well in advance of any nuclear material being introduced to the site itself. At the time, IAEA spokesman Marc Vidricaire stated, "I can confirm that on 21 September, Iran informed the IAEA in a letter that a new pilot fuel enrichment plant is under construction in the country." Obama's revelatory press conference with Gordon Brown and Nicolas Sarkozy about the Fordow facility was held on September 25th. Nevertheless, this claim about the Western exposure of the facility is endless repeated in the press. A few days after the release of the latest IAEA report, David Sanger was back with another report. "Iran on Monday made its first counterproposal in two years to ease the confrontation with the West over its nuclear program," he wrote on September 5, "offering to allow international inspectors “full supervision” of the country’s nuclear activities for the next five years, but on the condition that the mounting sanctions against Iran are lifted." He continues, "In past years, Iran has agreed to specific “work plans” with the international atomic agency to allow inspections or turn over documents. But all of them have fallen apart." The one and only "Work Plan" implemented by the IAEA and Iran was agreed to in 2007 and defined modalities and a timetable in order to clarify all issues of concerns in relation to Iran's nuclear program. Not only did the IAEA consistently report that it "has been able to verify the non-diversion of the declared nuclear materials at the enrichment facilities in Iran and has therefore concluded that it remains in peaceful use," but IAEA Director General Mohammad ElBaradei said on September 7, 2007, "For the last few years we have been told by the Security Council, by the board, we have to clarify the outstanding issues in Iran because these outstanding issues are the ones that have led to the lack of confidence, the crisis," adding, "We have not come to see any undeclared activities or weaponization of their programme." The results of the "Work Plan", issued in IAEA reports from November 2007 and February 2008, confirmed that "Iran has provided sufficient access to individuals and has responded in a timely manner to questions and provide clarifications and amplifications." The IAEA made clear that "substantial progress" towards clarifying outstanding questions had been made and that "The agency has been able to conclude that answers provided on the declared past P-1 and P-2 centrifuge programs are consistent with its findings." Furthermore, ever since the IAEA, at the behest of Western powers, began publicly and regularly scrutinizing Iran's nuclear program and enrichment activities, no evidence whatsoever has been found of a nuclear weapons program. Whenever news reports and political speeches contain references to Iran's past "breaches" of protocol, they are actually referring to activities that were otherwise legal under - not prohibited by or in violation of - Iran's IAEA Safeguards agreement, but that Iran merely "failed to report" to the Agency. A year later, after Iran had voluntarily implemented the Additional Protocol allowing the IAEA unfettered access to its facilities, the November 15, 2004 IAEA report assessed that "all the declared nuclear material in Iran has been accounted for, and therefore such material is not diverted to prohibited activities." (para. 112) This conclusion has since been reached by every single IAEA report - often upwards of four times per year. In February 2008, ElBaradei told the IAEA's 35-member Board of Governors, "We have managed to clarify all the remaining outstanding issues, including the most important issue, which is the scope and nature of Iran's enrichment programme," while in its May 26, 2008 report, the IAEA continued "to verify the non-diversion of declared nuclear material in Iran," adding, "Iran has provided the Agency with access to declared nuclear material and has provided the required nuclear material accountancy reports in connection with declared nuclear material and activities." Beyond this, the IAEA openly admits to concealing from Iran most of its alleged evidence regarding "Alleged Studies" (later dubbed, "Possible Military Dimensions" when Yukiya Amano replaced ElBaradei). For example, in its May 2008 report, the IAEA stated, "The Agency received much of this information only in electronic form and was not authorised to provide copies to Iran" and later revealed that while "the Agency had been shown the documents that led it to these conclusions, it was not in possession of the documents and was therefore unfortunately unable to make them available to Iran." Nevertheless, the IAEA still concluded that it had "not detected the actual use of nuclear material in connection with the alleged studies." Part of this stockpile of dubious documentation, acquired by the IAEA from the United States and Israel, wasn't even credible enough for the agency to investigate. 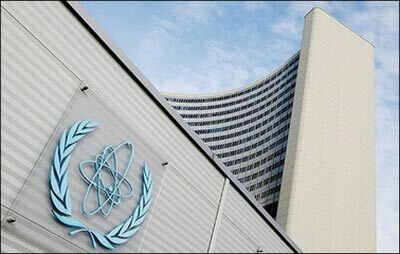 In 2009, the IAEA "admitted that some of the material in the now-infamous 'secret annex' about Iran's nuclear program exists, but claims it wasn't verifiable enough to release." Josh Rogin of Foreign Policy reported that "the classified information...was collected as part of the IAEA's annual volume on Iran but never made the final cut" due to the fact that IAEA authorities "decided they weren't confident in the authenticity of the information contained in the extra document, and they couldn't verify what that research had found." ElBaradei even went so far as to debunk rumors circulating around the media that the IAEA was withholding vital and damning evidence of a Iranian nuclear weapons program in an effort to protect the Islamic Republic from scrutiny...or worse. The Director General released a statement affirming that the IAEA has "no concrete proof that there is or has been a nuclear weapon programme in Iran" and reported that during a meeting of the Board of Governors on September 9, 2009, he had "warned that continuing allegations that the IAEA was withholding information on Iran are politically motivated and totally baseless." In 1924, Adolph Hitler reportedly declared, "Propaganda must confine itself to a very few points, and repeat them endlessly. Here, as with so many things in this world, persistence is the first and foremost condition of success." Without reporting the truth and by endlessly repeating blatant falsehoods, the press is guaranteeing the public does not know the full truth about the Iranian nuclear program or the actual findings of the IAEA.